Munchkin has been having really busy mornings off-late.Like Yesterday,she helped Mumma unload the dish-washer. 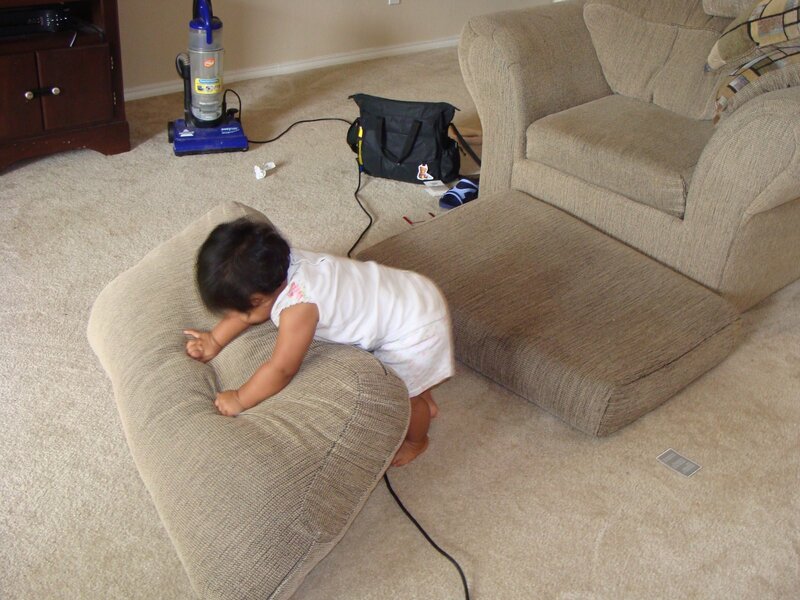 And then,this morning,while Mumma was cleaning,she was busy having fun..Jumping on huge cushions is a big job..and real fun too. Then it was time to climb up on the chair. 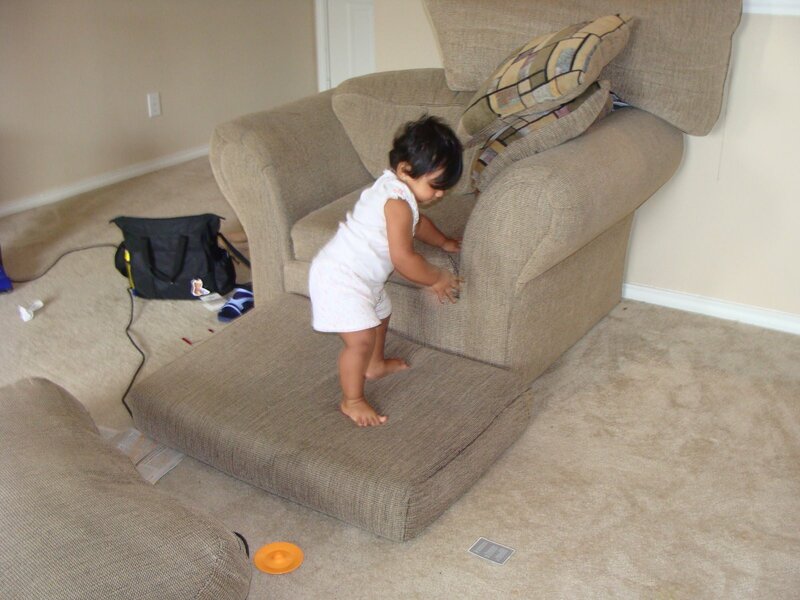 When jumping on the cushions and climbing chairs,wasn’t fun anymore,she decided to help mumma dust. 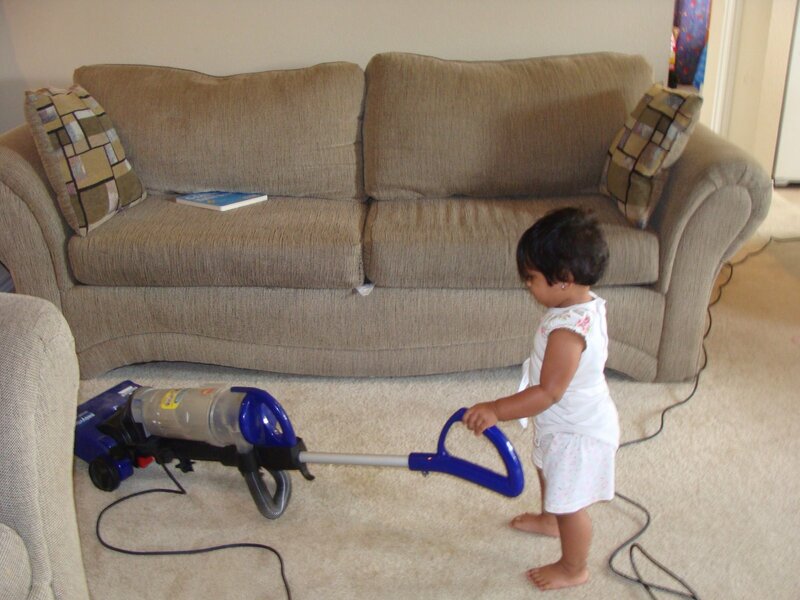 Time for some heavy-duty cleaning,she decided to run the Vacumm,just like Mumma does. Finally,all the house work done,she sat down to work on her laptop,just like Papa. 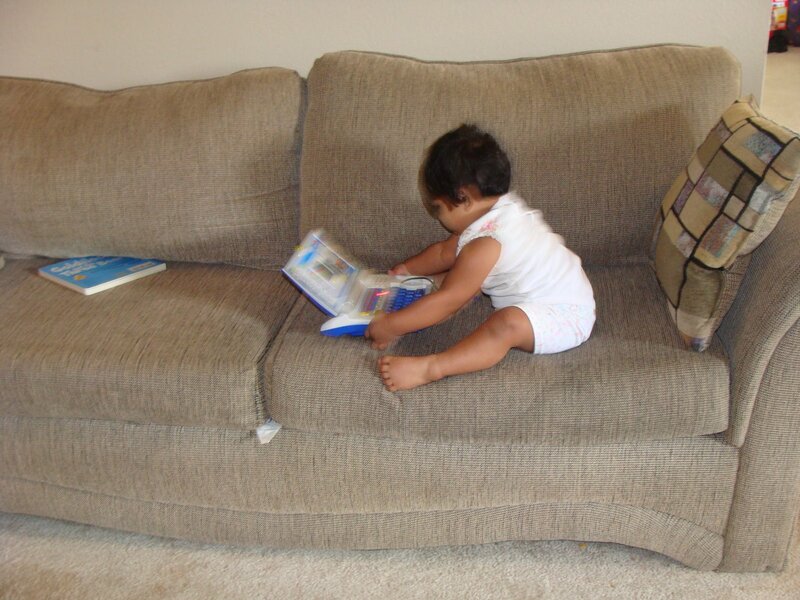 That’s how busy,my Little Munchkin is. Aww cuteness unlimited ! Lovely pictures, he’s so gorgeous. that sooooo cute!!! !BIG hugs to her!!cheers! 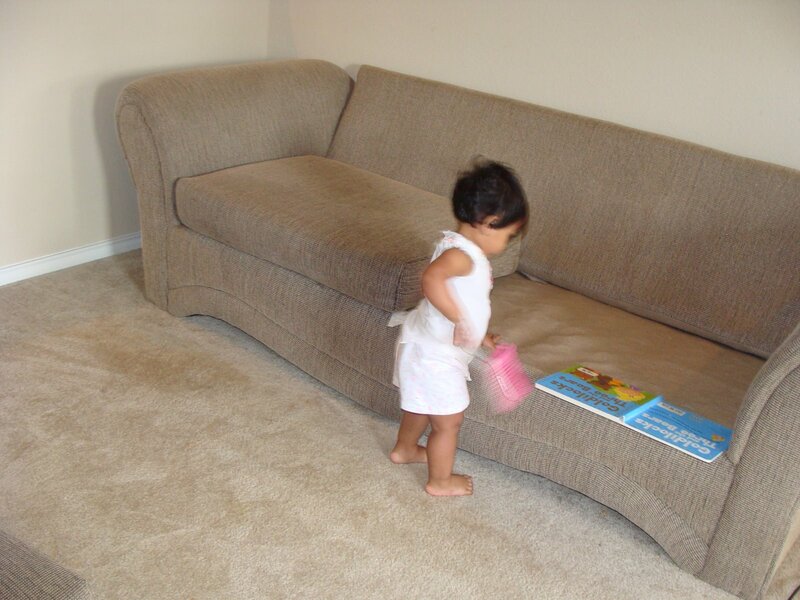 Awwww….Munchkin is one busy little girl, isn’t she? Simply too cute! Muwaahhh to the busy little bee! She is a busy little helper bee. She is a cute baby Trish. I still mean it…pack her bags and send her over. Pleeeeaaaassseeeee…. OMG, is she cute or is she cute ?? A big squeezy hug from me too ! My my what a busy schedule you follow Li’l Munchkin 😀 awesome pictures!! My oh my! what a busy schedule you follow Li’l Munchkin 😀 awesome pictures! !